Deco Dawson’s film KEEP A MODEST HEAD won the award for best Canadian short film at TIFF this year. The doc news world has been subsumed by posts coming out of the Toronto International Film Festival (TIFF) this week, so let’s get right into it. On Saturday, Sept. 16 the festival’s awards hardware was handed out. The short doc on French surrealist Jean Benoit, KEEP A MODEST HEAD by Deco Dawson, won best Canadian short film, and the Blackberry People’s Choice Documentary Award went to ARTIFACT, a film about the perils of the music industry, by Bartholomew Cubbins. At Reuters, Julie Gordon took note of all of the buzz earned by docs screening at TIFF, highlighting the gala treatment given to Liz Garbus’ LOVE, MARILYN and Shola Lynch’s FREE ANGELA AND ALL POLITICAL PRISONERS. Brian Johnson of Macleans magazine presented his top 10 list of films to see at TIFF, with documentaries THE ACT OF KILLING by Joshua Oppenheimer and STORIES WE TELL by Sarah Polley nabbing the numbers one and two spots, respectively. Eric Kohn at Indiewire was similarly struck by Polley and Oppenheimer’s films. 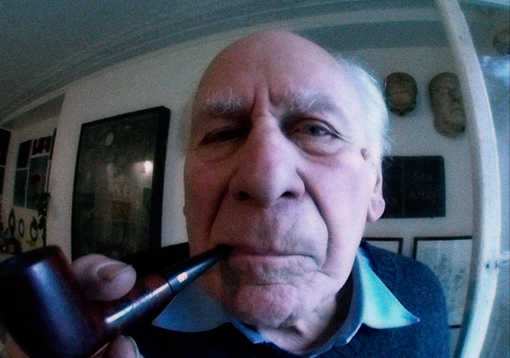 On the POV blog, Tom Roston turned out a list of must-see docs screening at the festival. Basil Tsiokos of the What Not to Doc blog wrote up a post about the films at TIFF that had caught his attention. Writing for Vogue Magazine, John Powers took note of the hype surrounding fictional narrative CLOUD ATLAS, but also had good things to say about doc VENUS AND SERENA, about the tennis-playing Williams sisters, that earned a bit of notoriety after news broke that the pair had withdrawn their support for the film, reportedly due to unhappiness at the way the film portrayed their father. Jay Cheel at the Documentary Blog took time to write up a group of capsule reviews of the docs he managed to catch in Toronto. B. Ruby Rich, writing for Fandor, had a pretty comprehensive overview of the festival as well. Realscreen seemed intent on not getting scooped in their own backyard, churning out an impressive number of interviews with or pieces on TIFF documentary filmmakers: Alex Gibney (MEA MAXIMA CULPA); Liz Garbus (LOVE, MARILYN); Jamie Kastner (THE SECRET DISCO REVOLUTION); and Jorge Hinojosa (ICEBERG SLIM: PORTRAIT OF A PIMP). Realscreen also covered a panel discussion featuring Ken Burns (THE CENTRAL PARK FIVE) and Shola Lynch (FREE ANGELA AND ALL POLITICAL PRISONERS). Christopher Campbell of the Documentary Channel blog, no slouch himself in the productivity department, also nabbed some sit-down time with a few TIFF directors: Nina Davenport (FIRST COMES LOVE); Marc Weiss (CAMP 14: TOTAL CONTROL ZONE); Shola Lynch, whose responses were broken up into two parts, with part one here and part two here; and Julien Temple (LONDON – THE MODERN BABYLON), whose interview was also spliced into two, with part one here and part two here. Frank DiGiacomo of Movieline also snagged an interview with Dror Moreh, director of doc THE GATEKEEPERS, while Indiewire’s Bryce Renninger spoke with THE ACT OF KILLING director Joshua Oppenheimer. TIFF’s official YouTube channel also posted a video of a press conference about FREE ANGELA AND ALL POLITICAL PRISONERS featuring Angela Davis, Shola Lynch and Eisa Davis—who plays a young Angela in the film—and moderated by TIFF doc programmer Thom Powers. Livia Bloom also managed to land an interview with Angela Davis herself for Filmmaker Magazine. In a piece for Movieline.com, Basil Tsiokos noticed that a number of TIFF documentaries had featured re-enactments (and perhaps most prominently, THE ACT OF KILLING). And in his weekly Docutopia blog, Anthony Kaufman noted that THE ACT OF KILLING and STORIES WE TELL also dealt with the mutability of memory, and the problems that we encounter in trying to reconstruct our memories. The artistic approach seems to be working well for THE ACT OF KILLING, which has earned huge buzz at TIFF, and a glowing review from Guardian writer Catherine Shoard. In another panel discussion, HBO Documentary Films President Sheila Nevins made a somewhat controversial recommendation to doc filmmakers, encouraging to take money from brands, as long as there was no interference in the editorial process from them. Whether by coincidence or design, Tim Horsburgh of Kartemquin Films pointed, via Twitter, to a C21 Media post detailing a panel discussion from back in June at the Sheff/Doc Fest that included Mette Hoffman Meyer, head of documentaries at Danish pubcaster DR, and BBC Storyville editor Nick Fraser, both of whom issued warnings about taking funds from third-party sources—including NGOs and charities. The full video of the panel discussion can be viewed here. The market for docs was also on fire this past week, with a number of directors using TIFF as a launching pad from which to ink distro deals. Realscreen spoke with Jane Schoettle, one of TIFF’s programmers, about the market opportunities afforded first time filmmakers at the festival. Sarah Polley’s STORIES WE TELL was picked up by Roadside Attractions for distribution in the U.S., while Tribeca Film picked up the U.S. rights for Matthew Cooke’s film HOW TO MAKE MONEY SELLING DRUGS, a tongue-in-cheek look at the illicit drug trade. (Michael Cieply also penned a write up of Cooke’s film for the New York Times Media Decoder blog that’s worth checking out.) First Run Features nabbed U.S., Polish and Australian rights for the Peter Mettler doc END OF TIME, while HBO Documentary Films inked a deal for U.S. television rights for Tom Donahue’s CASTING BY. The folks at Cinema Guild wrote a check for U.S. distro rights for LEVIATHAN, by Lucien Castaing-Taylor and Véréna Paravel, and UK-based distributor Dogwoof Global picked up all international rights for Doug Block’s latest film, 112 WEDDINGS. Magnolia Pictures won U.S. theatrical rights for Janet Tobias’ NO PLACE ON EARTH, and U.S. television rights for Liz Garbus’ LOVE, MARILYN were snapped up by HBO Documentary Films. It was reported Monday, Sept. 10 that director Errol Morris would be making a doc about former Bush administration Defense Secretary Donald Rumsfeld. The film, titled THE UNKNOWN KNOWN: THE LIFE AND TIMES OF DONALD RUMSFELD, is set to be released in 2013, and will rely on already completed interviews Morris conducted with Rumsfeld. Kelly Anderson of Realscreen reported that Russian filmmaker Victor Kossakovsky had been enlisted by the International Documentary Film Festival of Amsterdam (IDFA) to generate a top ten documentary list for the festival’s 25th anniversary, with the selections to be screened during the fest. The Harmony Institute issued a white paper available for free download that attempts to measure the influence that the Lee Hirsch film BULLY had on social media networks following its release. And Peter Broderick wrote up a case study about the marketing plan used to promote the film FORKS OVER KNIVES. POV’s blog has a recap of its latest Twitter docchat, this one with WHERE SOLDIERS COME FROM director Heather Courtney. Canada’s POV Magazine, fresh from the launch of its new website, asked whether the documentary should be considered the national art form of the Great White North. The Sheff/Doc Fest this week posted another YouTube video, this one including Claire Fox and BBC Storyville editor Nick Fraser on the issue of why documentaries matter. Indiewire’s Jason Guerrasio took the time to consider whether Rodney Ascher’s documentary ROOM 237, about the Stanley Kubrick film THE SHINING, had crossed the line from fair use to copyright infringement. In tech news, No Film School took a look at Sony’s new HDSLR offering, the A99, finding that it seemed to answer most of the criticisms that filmmakers had concerning the Canon 5D Mark III’s shortcomings in video functionality. Ingrid Kopp, the Tribeca Film Institute’s director of digital initiatives, this week spoke with Australia’s RadioNational about the role of the documentary in the digital world. ITVS announced that it was stepping up its social screening game, thanks to additional Corporation for Public Broadcasting funding that increased the functionality of its OVEE screening platform. Writing for SnagFilms, Anthony Kaufman reflected on a time when unions were not considered a pox on the political system, using Barbara Kopple’s classic HARLAN COUNTY USA as his prime example of the change. Christopher Campbell has this week’s list of docs in theaters, which includes films STEP UP TO THE PLATE and SWITCH.